CES Blackhawk Farms, He we come! The weekend brings the second installment of the Championship Enduro Series. This time they are racing at Blackhawk Farmsin South Beliot, IL. Again there will be two days are racing. Saturday with the CES folks and on Sunday the Badger Karting Club will be joining us. We are looking forward to seeing some old friends. Should be an exciting weekend of racing. Sunday’s race is sponsored by C&M Auto Service in Glenview. The extended family have been a customer of C&M since 1997. 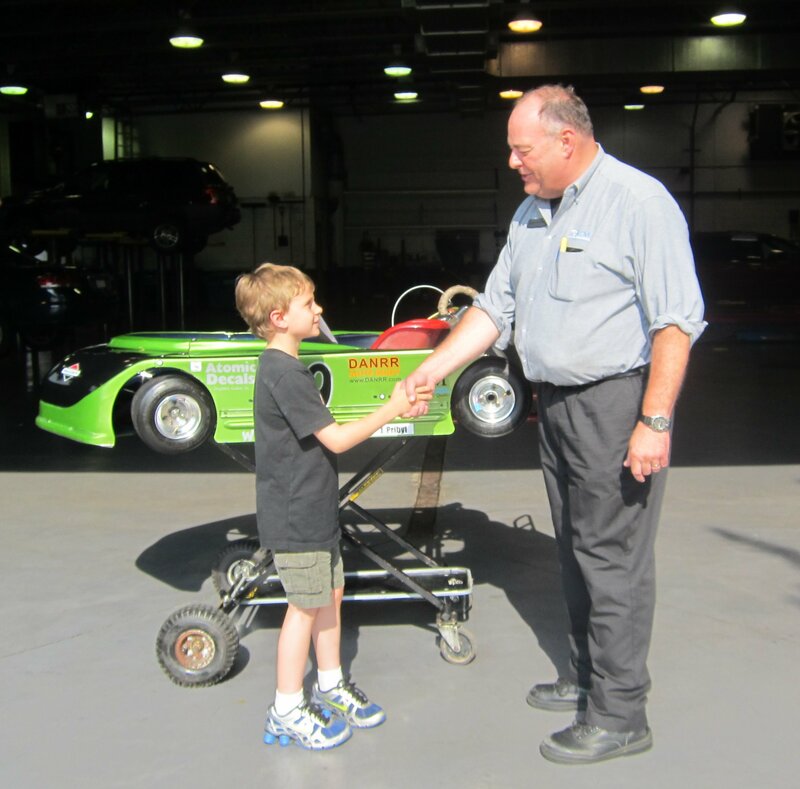 Chuck and the C&M team have always provide excellent service to our all of our vehicles including Jason’s Kid Kart. Thanks again guys for your support of a local athlete. Thanks again to Atomic Decals for quick turn around with our new sticker. Here is a little tastes of racing at Blackhawk Farms from last years event. See you folks out there. If you not able to catch us at the track this weekend you can see us at the Monday Night Car show on June 3rd at Old Orchard shopping mall in Skokie, IL.